Our 2019 calendar is available now for download! 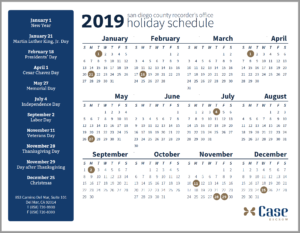 We highlight the San Diego County Recorder’s Holiday schedule for easy reference! Learn more about the San Diego County Recorder on their website. When Can I Sign My Loan Documents?